Monika Miglani | I.K International Publishing House Pvt. 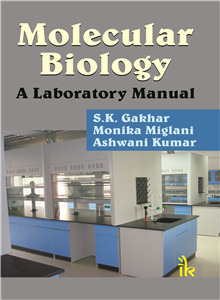 Ltd.
Monika Miglani is working in the Centre for Biotechnology, Maharshi Dayanand University, Rohtak. She has been actively engaged in research in the field of Insect Genetic Engineering. She has submitted novel sequences in the GenBank database. She has published papers nationally and internationally. She has also worked as “Course Instructor” in Short term Training Course on Molecular Biology organized by C.B.T, M.D.U. sponsored by D.B.T, Govt. of India.